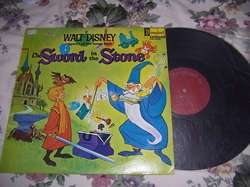 walt disney lp record - songs from "the sword in the stone"
This record is circa 1972 was produced by Walt Disney and manufactured and distributed by E.M.I (Australia) Ltd. It has all the songs from the childrens cartoon movie "The Sword in the Stone". There appears to be no scratches to the record. This is a small record but is played on the 33 1/3 RPM. It is circa 1972 was produced by Walt Disney Productions and distributed under licence by Summit Records Australia. It shows some scratches which is consistent with wear as it is 40 years old. 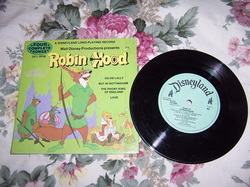 It is circa 1973 was produced by Walt Disney Productions and distributed under licence by Summit Records Australia. This is a 24 page book which has many colourful pictures in it. There is also no scribbling or rips to the pages. This 33 1/3 RPM record is a long playing record. One side of the record has some quite deep scratches in it but have just played it and it doesn't stop the story and is still able to be heard quite clearly. 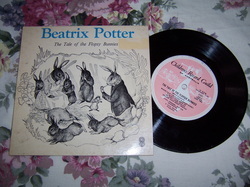 This is a record from the Children's Record Guild of Australia and tells the story of :The Tale of Flopsy Bunnies. 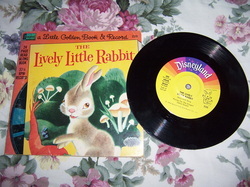 It is narrated and also has songs for each story. The music is by Cyril Ornadel and his orchestra. Where have the flopsy bunnies gone? Some minor scratches which is consistent of a record which would be 40 years old or so. 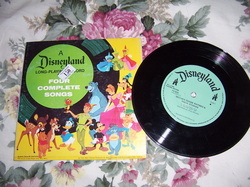 This is a 24 page book with a 33 1/3 rpm record which tells the story. STORY MUSIC AND PHOTOS FROM THE ORIGINAL GEORGE LUCAS MOTION PICTURE. Item is vintage approx 35 years old. This package includes a 24 page book with full colour illustrations and a 7 inch 33 1/3 RPM long-playing record with the narrator reading every word exactly as the child sees it in the book...plus music about the story they hear and see. An entertaining way to assist non-reads to learn and to help beginners to improve their reading ability.